Swimming star Jack McFadden was given a hero’s welcome on his return to Colaiste Pobail Setanta after winning two gold medals in the Special Olympics World Games. 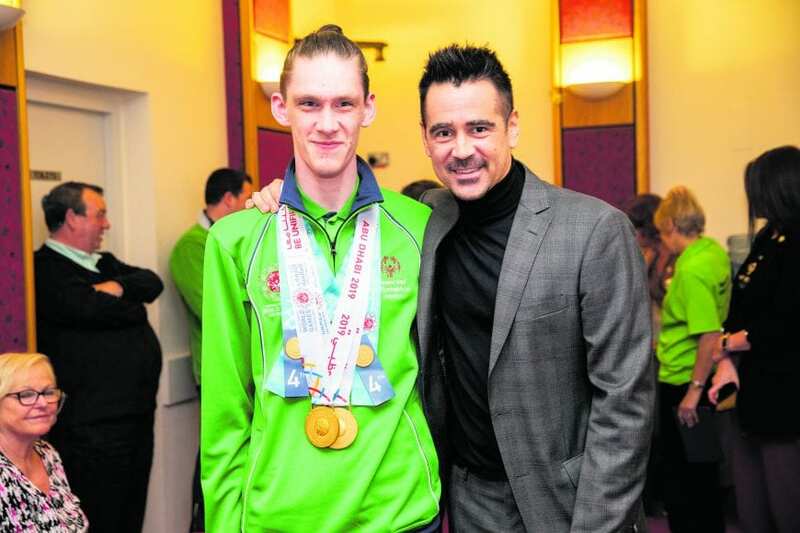 Jack, 17, from Clonee, dominated in the pool in Abu Dhabi and the 1,100 students and 80 staff who’ve backed him on his courageous journey couldn’t wait to congratulate him. They were joined by parents and friends who honoured a smiling Jack with a lap of honour at the Phibblestown school in recognition of his remarkable achievement. 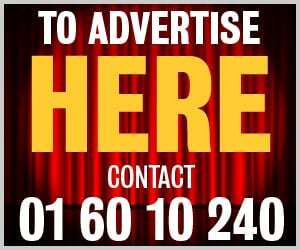 His tutor Frances Shannon recalled how Jack was dual enrolled in September 2015 into the school’s ASD and mainstream classes, sitting six Junior Cert subjects. She added: “While Jack was studying he was also training extremely hard… this involved 5am starts in the pool five mornings a week, swim galas at the weekend always aiming to beat his personal best. “Jack always managed to balance his extra-curricular swimming commitments with his academic work. “As a college we have supported Jack and his family over the past four years in their journey to the world games. Staff and students have seen Jack grow in confidence, develop resilience and independence and are overjoyed that the hard work paid off. Jack, who started swimming age four, joined the Special Olympics Club Phoenix Flyers in Coolmine in 2014. He returned to a rapturous welcome in Dublin Airport with gold medals for both the 100m and 200m breast stroke around his neck. He appeared on the Late Late Show and went on to visit Leinster House and speak in DCU about his experiences and what swimming has brought to him in terms of overcoming his physical and sensory barriers. Proud mum Maria revealed: “When we were told that Jack had intellectual disabilities our lives were shattered. But I was always told to find strength in Jack and this was one of the strengths he had, swimming. A non-uniform fundraiser will be held at Jack’s school, Colaiste Pobail Setanta, this Friday April 12 in aid of Special Olympics Ireland.